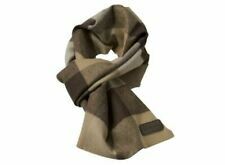 FITS: LV195EA, LV195XA, LEV120-361564B,LEV105 & LEV120. TECUMSEH 640271. TECUMSEH 640303. TECUMSEH 640350. 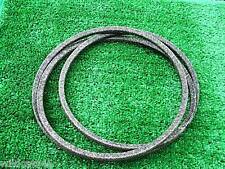 MTD Cub Cadet Troy Bilt 954-0467A & 954-0468 Variable Speed Drive Belts 954-0467 Price is for two quality, Made to FSP specs., Rotary Belts. 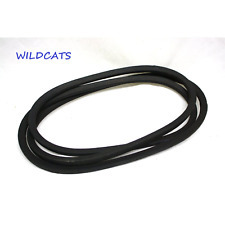 One belt to replace the 754-0467, 954-0467 engine to variable speed pulley belt. Price is for a quantity of 2FSP part #109808X with hardware (not FSP) for both ends. Used as a latch to hold the upper and lower chutes together on baggers. This is the OEM latch strap with non-OEM hardware. CTH130, CTH135, CTH140 Twin, CTH150 Twin, CTH150xp, CTH151, CTH151xp, CTH155, CTH160, CTH170, CTH171, CTH172, CTH1736, CTH180 Twin, CTH180xp, CTH191, CTH220 Twin, CTH2542 Twin, YTH150 Twin, YTH210xp. MPN: 693551, LG693551,113853,12494,2-2403-BS,30221,5777 LG693551 693551, SE501848. JOHN DEERE LG693551, SE501848. BRIGGS & STRATTON 693551. Seals out residue – Sealed housings and bearings keep the internal workings cleaner and drier. SMALL ENGINE SPARK CHECKER. (used to check for spark present from ignition coil). Belt A/4L 1/2 x 141in OC. For Husqvarna Rider 11, 11 BIO, 11 BioClip, 11C, 13, 13 BIO, 14 Pro, 15V2, 16, 16H, 155, 155EU, 850, 850-8/12, 850-10, 850-12, 850-12.5K, 850 HST, 850 HST Pro, 970, 970-12, 970-12s, 970-12.5K, 970 BIOCLIP, 970 H-15, 970HST BIOCLIP, 1000, 1030 BIOCLIP, 1200, 1200-14, R111B, R112C, R115B, R120C Ride On Mowers, ( SEE LIST BELOW ). For Stiga Park 92M, 102M, 107M, 121M, Villa, Ready 85M, 92M, 102M, 107M Ride On Mower Decks, See below for location. Park 121M, ( Triple Blade Deck ), Years 1994, 1995, 3 Required, ( 1 left, 1 right, 1 centre ). HONDA GX340. HONDA GX390. 1X - FlyWheel with Ring Gear NO MAGNET. We usually respond within a few hours. Hochwertiges Nachbau-Ersatzteil 4-Zahn Messer aus Federstahl Passend für Ambrogio L50, L75 . Passend für Husqvarna Automower 105 305 308 310 315 320 330X 420 430X 440 450X. inklusive 30 Schrauben. Gardena Mähroboter R38Li R40Li R45Li R50Li R70Li R165 und die Sileno Modellreihe. extra lange Nutzungsdauer durch Titanbeschichtung. Brand New (2) Pack Genuine Generac Rubber Feet… · Rubber Foot (2) Pack · Genuine Generac Part # 0047774SRV · Fits Specific Generac & Coleman Powermate Models · Genuine OEM Generac Part (Mfg of Coleman Powermate). TC102, TCP102, TCR102. Engine to deck belt. Fits all of the 102cm Deck range of mowers. For Stiga Park, 85, 95, 105, Ready, Villa 85, Villa 95, 105 Combi DecksYEAR 2007 ONWARDS ONLY, SEE LIST BELOW. Ready / Villa 85 Combi Deck Years 2007 to 2017. Villa 95 Combi Deck Years 2007 to 2017. John Deere: GX20072, GY20570. Sabre: GX20072, GY20570. John Deere D100-D130, L100 and L125. Belt Application: Engine to deck. Always reference the part number for the item that you are replacing. This will insure order accuracy. NEU der Gehäuseschutz für ihren Husqvarna Automower. Der Bumper schützt ihren Automower vor diversen Beschädigungen an dem Gehäuse. Er passt für sämtliche Husqvarna Automower von zB. 105/305/308/310/315/320/420/330X/430X/450X und 220AC bis 230ACX usw. NOT A CHEAP ROTARY SUNBELT BLACK BELT! - REAL DEAL! Indego 350, Indego 350 Connect, Indego 400, Indego 400 Connect, Indego 800, Indego 1000 Connect, Indego 1100 Connect, Indego 1200 Connect. Ersatzklingen & Schrauben nach Wahl. Stärke 1mm und einem Gewicht pro Klinge von ca. 3,5Gramm. This item is brought to you courtesy of JAPG MOWERS AND MACHINERY, based in Herefordshire in the UK. Just type in "JAPG MOWERS" into Google and you will easily find us. For Stiga Park 100B, 102M, 110S, 121M and Villa, Ready 85M, Villa 102M Ride On Mower Cutting Decks,See below for location. Park 100B, ( Triple Blade Deck ), Years 1999, 2000, 2 Required, Left and Right. John Deere: GX20571, GX21833. John Deere: D140, D150, D160, L120, L130, L145, L155, LA130, LA140 and X140. UNDER THE SEAT OF YOUR MOWER. Belt Application: Deck. Fits Models STATES/ TERRITORIES! MTD > Lawn tractors > RH 115 / 13A1450C600 (2000) RH115. MTD > Lawn tractors > J 114 / 13A1455C661 (1999) J114. 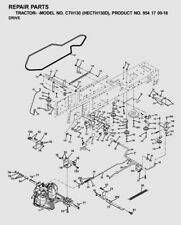 MTD > Lawn tractors > J 130 / 13A5475A678 (1998) J130. MTD > Lawn tractors > J 115 / 13A1450C678 (1998) J115. Alle Husqvarna ® AUTOMOWER ®- und Gardena ® -Mähroboter Modelle. alle Automower Modelle: G1, 210, 220AC, 230ACX, 260ACX, 265ACX, Solarhybrid, 305, 308, 310, 315, 320, 330x. alle Automower®-Modelle von Husqvarna®. FITS: PB270, T270, C270. Shindaiwa Fuel Tank. NEU der Gehäuseschutz für ihren Husqvarna Automower. Der Bumper schützt ihren Automower vor diversen Beschädigungen an dem Gehäuse. Er passt für sämtliche Husqvarna Automower von zB. (Stoßstangenschutz, Bumper oder auch Protektor genannt). FX-RM 20BS. FX-RM 20BS 675iS. FX-RM 20BS 775iS. FX-RM 2060. FX-RM 2060 PRO. FX-RM 2060 eS. FX-RM 2050. FX-RM 2055. 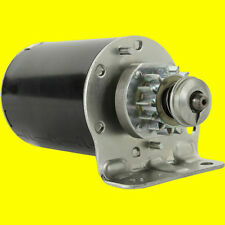 This is John Deere's new Easy Oil Change Filter, AUC12916. We will make every reasonable effort to correct any problems with your order. Our office is closed on weekends. 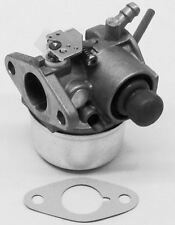 Many Kohler K-Series with Battery ignition. 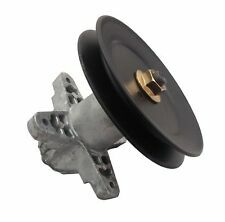 Points include the mounting bracket and the condenser includes the original style mounting bracket. Part numbers 52 041 11-S.
NEW GENUINE OEM TORO REAR WHEELS. We are a Toro Master Service Dealer. PART # 107-3709 QUANTITY 2. Kohler Expert Dealer and a. We reserve the right to cancel the sale of any item to anyone who is not the end user of the product. 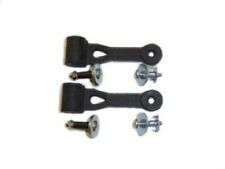 NEW GENUINE OEM TORO RWD FRICTION GEAR KIT. USED ON TORO SUPER RECYCLER MOWERS. We are a Toro Master Service Dealer. Briggs & Stratton Diamond Dealer. Kohler Expert Dealer and a. 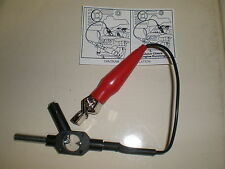 PART # 66-6050 LH KEYWAY. Kohler 277375S,271688, 271871. Also will work for Kohler KT17 and KT19 Engines. 4.5 ohm primary winding resistance. 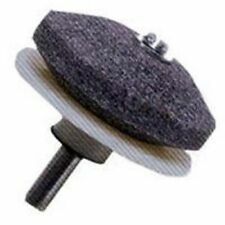 Standard Turf Master Tread. Maximum Load: 260 kg / 570 lbs. Tires only. Wheels not included. 3 USA MADE XHT BLADES SNAPPER SIMPLICITY 1759055 1759055YP HIGH LIFT ZT2348T 48"
Benefits of the HXT blade are sharper and longer lasting cutting edges. More resistance to bending. By the way they are made in the USA! XHT BLADES. If you order them and they don't fit it is not our fault! Does not fit 247 models craftsman. 42" Deck Rebuild Kit. 2-134149 Mulching Blades. 1-144959 Deck Drive Belt. Buy It Now. Note: Photo of disassembled cylinder head does not reflect all parts in actual assembled cylinder head. New Assembled Cylinder Head Kit! · Inlet and Exhaust Valves. 1x Cylinder Head Assembled with. 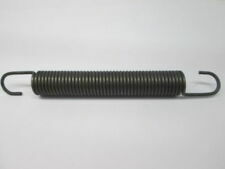 · Valve Springs. Part # X668000330. X668000330 BELT, BROOM. PB270 Power Broom. PB230 Power Broom. Genuine Echo / Shindaiwa BELT, BROOM 12. PB3410 Power Broom. WE ARE A CERTIFIED DEALER! 99944200620 Pro Paddle. 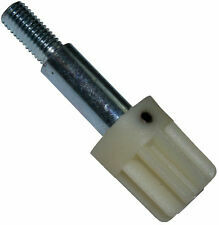 Replaces Craftsman part numbers 407755X427, 583743501. Set of 2 front drive wheels. Includes (2) wheels as picturedItem Specifications. POULAN AYP 42" RIDING LAWN MOWER TRACTOR LOWER BAGGER CHUTE FOR GRASS CATCHER. THIS FITS BOTH THE TWO BIN AND THREE BIN GRASS CATCHERS. MSRP OF 89.00. LOST YOUR CHUTE?. WE GOT THEM ON SALE! John Deere LT133 LT150 LT155 LT166 LT160 LT180 LT190 Lawn Mower Fuel Tank & Cap!